Compare the kind of commissions you can earn and test different products. Your goal is to find a reliable program that offers quality products at a good price and provides your customers with excellent service. Keep in mind that you can join more than one program to have a broader selection of affiliate products to choose from. Choose your products carefully. It is best to get started with a small number of products and choose items you already know a lot about. If you have some experience with selling a product, find a similar product so you can use your past experience to develop an excellent sales pitch. Do some research to learn more about the products offered by competitors and make sure the ones you want to sell will be competitive. If you can, test these products before you start selling them. Add new products to your selection on a regular basis to keep your customers interested. Most affiliate sellers create their own site or blog to share information about the products they sell. If you already have a successful blog or site, you can monetize it by adding some banners and ads for the products you sell. Create new pages to share more details on your affiliate products, such as descriptions, reviews, pictures and even videos. Do not hesitate to mention your products in your articles, for instance as a solution to the problems you are writing about. If your site or blog already has an audience, finds products your target audience will be interested in. Stay in touch with the people who order your products. 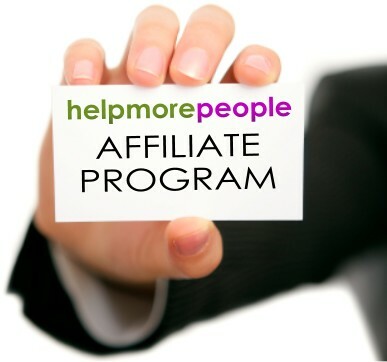 Most affiliate marketing programs will give you affiliate links and you will receive a commission every time a person buys a product after clicking on your links. Few programs require you to process the order yourself. You need to follow up with customers to make sure the service they received from your program was satisfactory. Encourage people to contact you via email or on social networks to give you more details on their experience with your program. If a customer is not satisfied, do not hesitate to contact your program yourself or issue a refund if your affiliate marketing program will not do it.These useful tips will help you become an efficient affiliate marketing seller, but keep in mind that establishing a strong online presence can take some time. Use these tips and do more research on affiliate marketing to develop the best strategy possible. Great post. I was checking continuously this weblog and I’m impressed! Extremely useful info specifically the ultimate phase 🙂 I care for such info a lot. I was seeking this certain info for a long time. Thank you and best of luck.